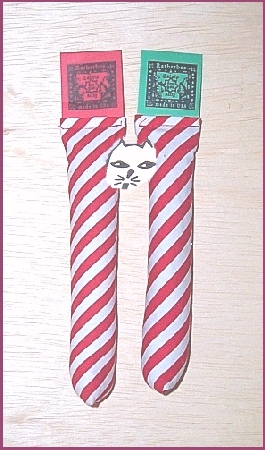 TWO Ratherbee's Candy Cane Sticks. Approx. size: 6 inches. $10.99 plus $2 shipping (waived with cat furniture purchase).